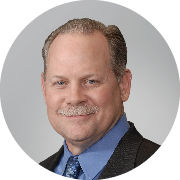 Scott Downing is responsible for collaboration and performance improvement services that serve independent, community-based health care organizations as well as large, integrated systems for Vizient. His responsibilities include networks that optimize connection paths for sharing knowledge and insights as well as opportunities to accelerate performance clinically, operationally, and financially. Prior to this role, Downing was executive vice president and chief sales and marketing officer for VHA. He also served as executive vice president, supply chain services, and was responsible for all of VHA’s supply chain-related businesses. Downing joined VHA in 1997 as a senior director responsible for VHA field teams serving two regions. Downing was instrumental in the development of initiatives expanding value to members, including the Large IDN Supply Network, VHA SupplyNetworks® and SupplyLYNX™, VHA’s analytics platform. He also led integration activities of various businesses to effectively position the alliance as a market leader in supply chain analytics and contracting services in health care. In addition, Downing collaborated with many members to develop and implement effective strategies for organization-wide supply chain improvement. He has worked in a variety of roles within health care for more than 27 years, with a specific focus on health care supply chain management and cost reduction strategies. Previously, Downing worked for Sanofi Winthrop Pharmaceuticals where he held sales management responsibilities for both the hospital and physician markets. Downing was twice recognized with the President's Award while at Sanofi Winthrop, which is given to the company’s top performer annually. Downing currently serves on the Vizient MidSouth Board of Directors. He also previously served on the Novation Board of Directors and as executive officer and director of Goodroe Healthcare Solutions. Downing earned a bachelor’s degree in biology with a minor in chemistry from Fort Hays State University.